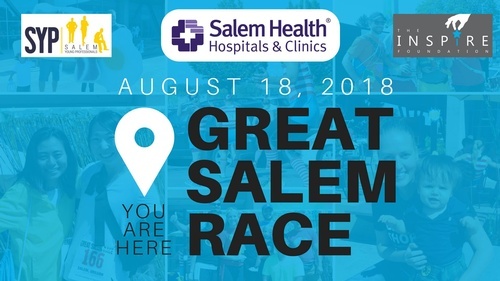 What is the Great Salem Race? The Great Salem Race is a family friendly event and is your opportunity to experience the city like never before. There will be approximately 3-5 miles traveled by foot and a party to celebrate after! Age of child participants is up to parental discretion. Family division course will be shorter. Who can race? Families, friends, co-workers, churches, youth groups, sports teams, and businesses are all encouraged to take advantage of this event! Groups of 2-4 participants per team will compete. This is a public event and kids are encouraged to join! Race day details Registration opens: 9:00 am Start time: 10:00 am End time: 12:00 pm Awards + After Party: 12:15 pm Music and great food awaits you at the finish line! Please see website for pricing information.